Of all the compounds within your body, amino acids account for 75%. These acids are absolutely essential to the proper performance of almost every task that your body accomplishes. 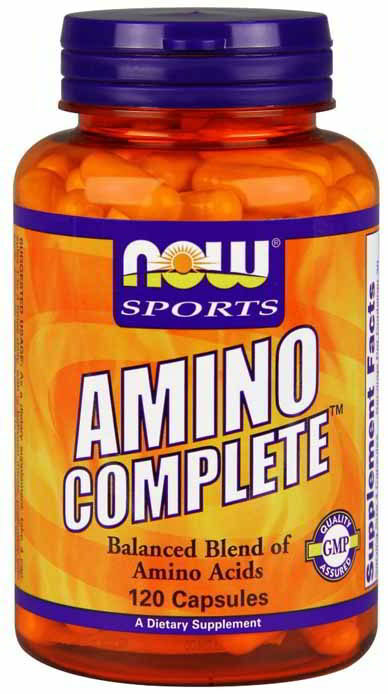 In fact, life cannot take form without the application of amino acids. As a dietary supplement, take 4 capsules 1 to 3 times daily with or between meals, preferably with juice. Other Ingredients:Gelatin (capsule), Cellulose, Stearic Acid (vegetable source), Magnesium Stearate (vegetable source) and Silica. Contains no: sugar, salt, starch, yeast, wheat, gluten, corn, egg, shellfish or preservatives.